It's been three years now when we decided to cut our cable television subscription. Aside from extra household expenses, we became less productive because we spent a great amount of time watching series. Of course, we still do watch TV everyday. However, we only choose shows that are more significant. 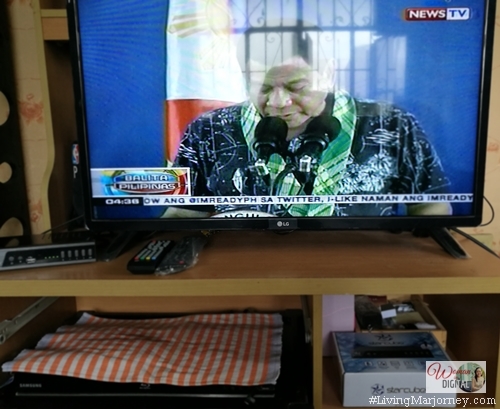 So I got myself a Starmobile Starcube HD Digital Box for our bedroom television since we really can't watch local channels in this TV anymore. I moved the other antenna at the living room's TV. 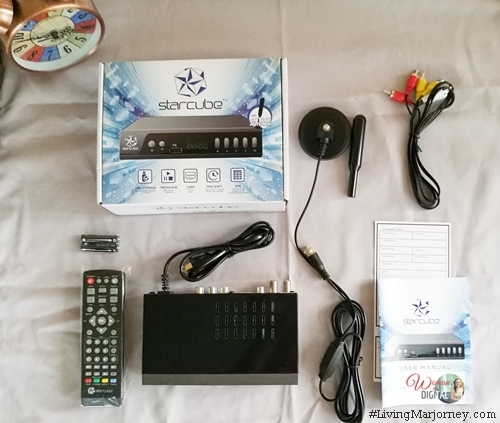 Starcube TV Box is worth Php 1,290, one time payment, affordable and a good investment instead of subscribing to cable. There's no need to wait for eternity to watch films both local and foreign. I'm glad local channels are airing these so I just have to wait especially on local movies. So why do I have to pay for contents that are also available on cable or satellite when they are on Starcube Digital TV like ABS CBN, Cinemo, GNTV, ABS CBN Sports Channel. Starcube TV Box is full HD ready. It automatically and manually scan all available channels. Starcube TV box provides better picture and sound quality. Unlock more channels just place the antenna in a better spot. No monthly cable subscription fees. I save a lot and spend it in other household expenses. The onscreen menu is easy-to-use and follow. Recording a TV program is really easy, just insert a USB 2.0 and press the record button on the remote. Playing saved movies or shows are extremely easy. It has "time shift" function so you can pause, fast forward or reward live programs. Small, handy and easy to carry. I mean I could easily bring it to my mom's home in Bulacan and have it tested there, later on get one for her as well. Starcube TV Box is also a Media Hub. It supports various media type - MP3, WMA, WAV, AAC, Jpeg, BMP, PNG, AVI, MKV, DIVX, MOV, MPG, MP4 and more. How about reception issues? 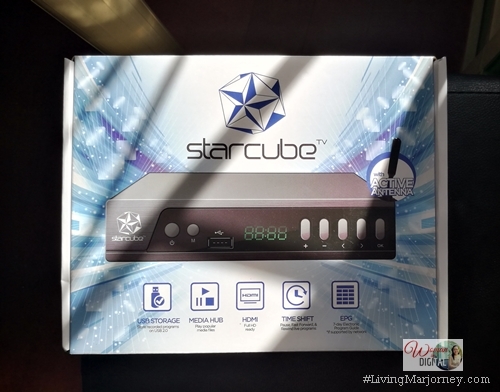 I connected Starcube Digital Box in our bedroom's television at the 2nd floor. Because it's placed higher, it is expected to have better reception and unlock more channels. So how to save money on cable bills? Cut it off and switch to Digital TV Box. Overall, I'm happy with Starmobile's Starcube TV. Now I can save my favorite shows and watch it later.